New Delhi: Congress leader Ghulam Nabi Azad on Tuesday took a dig at Prime Minister Narendra Modi, as he remembered Atal Bihari Vajpayee saying the BJP patriarch neither had anger against the opposition nor did he undermine the progress made by the country since Independence. "He always opposed his rival parties, but never had anger against them," Azad said at the event where, besides Modi, President Ram Nath Kovind, Vice President M Venkaiah Naidu, Speaker Sumitra Mahajan and Parliamentary Affairs Minister Narendra Singh Tomar were present on the dias. 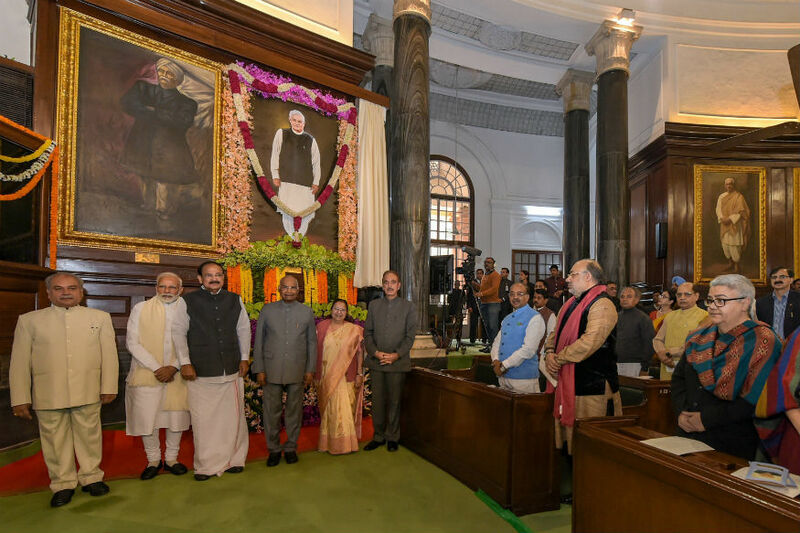 Azad recollected some of the speeches delivered by Vajpayee in Lok Sabha, including one on the occasion of 50th anniversary of India's Independence. "He said 'I (Vajpayee) maintained that the country made progress in the last 50 years and no one can deny that. I had enough material to attack previous governments during elections and canvassing for votes, making fervent attacks on their policies. But I have said everywhere that I am not one of those who undermines the country's achievements in the last 50 years. "Doing this would be undermining the country's administration. Doing this would mean doing injustice against country's farmers, labourers and this would not be right against the common man'," the Congress leader said. Azad also recollected Vajpayee's speech in 1999 during a vote of confidence motion. He noted that the former prime minister had said there should not no polarisation in the country in the name of caste and religion and politics should not be divided into two camps where there cannot be any conversation. Recalling Vajpayee's speech in Goa in 2002, Azad said the former prime minister had said India won't be so if it was not secular.